Channel classic 1940’s girl-power with this simple Rosie the Riveter look. Pair a denim top with jeans or overalls, pop on some lace-up boots, and tie your hair up in a red bandana. Class it up with this classic staple. 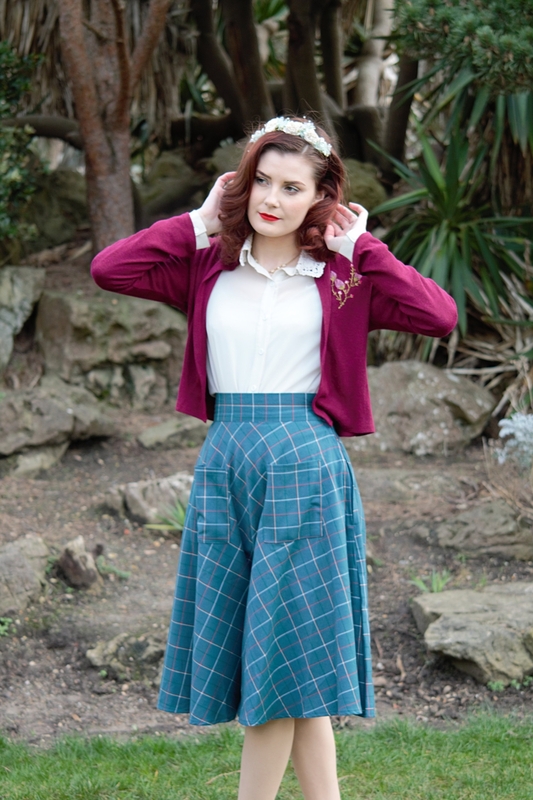 Tuck a simple button-up into a circle skirt and layer a cardigan on top. Add accessories like a scarf, headband, or pearls and top it off with a red lip and curled hair. Channel your inner Audrey Hepburn with this Breakfast at Tiffany’s look. Start with a little black dress, accessorized with a string of pearls, black gloves, and a sleek up-do. Break out the bongos and your best beat poems for this look. Pair a striped black and white top with some black high-waisted capris or cuffed pants. Add a silk scarf around your neck and a beret on your head and you’re ready to go! Get groovy with this super versatile 70s look! Pair a retro graphic tee or your favorite tie dye top with wide legged jeans. Finish off the look with an over-sized hat or a simple headband. Let’s get physical with this flashy 80s staple! Pop an oversized athletic tee over a sports bra and legging; add thigh socks or leg warmers and your favorite athletic shoe, and remember the brighter the better! Blast some Nirvana and pull out some plaid to get into character for a classic 1990’s grungy look. Pair a dark flannel top with ripped jeans. Top off the outfit with some Doc Martins, a choker, a dark lip, and a bad attitude. Whether you’re feeling Cher Horowitz or Rachel Green, the 90’s preppy look is always a classic. Pair a plaid skirt with a button-up or high-necked sweater. Accessorize with thigh-high socks and a headband. Jump to the year 3000 with a funky futuristic look! 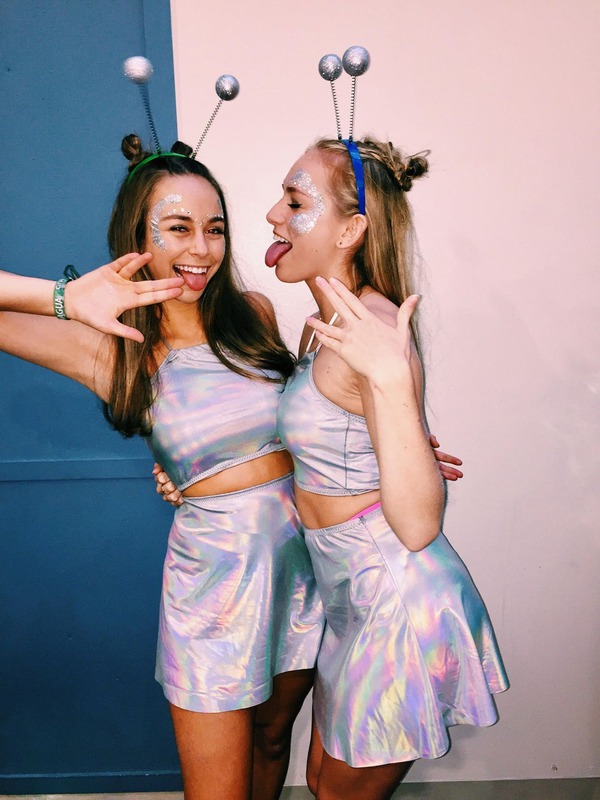 Pair a metallic or holographic top with a miniskirt or leggings and create an avant-garde hairstyle and makeup look to match.